Optima real estate developer has been developing, designing, and building some of the most snazzy suburban and urban luxury condos & home communities in the US. The BBB accredited home builder has been in the real estate game for more than 35 years. Over the years, Optima has gained a reputation for designing and building quality townhomes, luxury condos, single-family detached homes, and multi-family residences in attractive neighborhoods in major cities, including Scottsdale and Chicago. 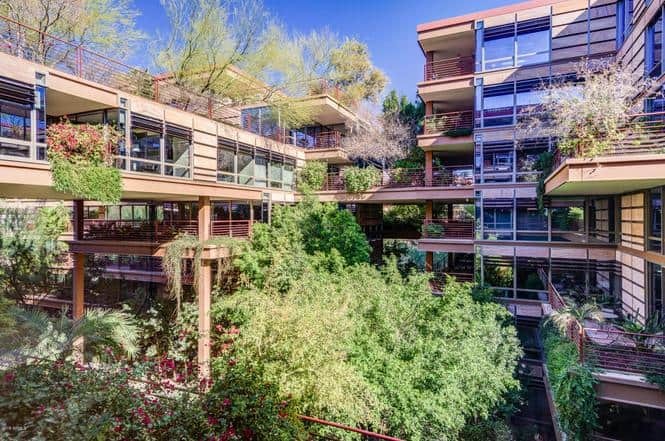 With an office in Scottsdale, Arizona, Optima Realty has burgeoned over the years to become a real estate name brand in the area – and with good reason. Optima Homes is guided by its core principles and vision for designing and creating vibrant communities that feature amazing amenities and value-added facilities in the best locations. What Makes Optima Built Luxury Condos & Homes Tick? Optima Homes boast a complete array of capabilities that have afforded it to become the leader of the pack. Optima Homes brings superior efficiency to its designing and building process for luxury condos and suburban luxury residential communities. Optima carefully manages, analyses, and regulates a myriad of details that go into designing and building unique quality homes and luxury condos. This way, the builder can create vibrant communities and homes that can deliver total value to homeowners. Optima, Inc. takes care of all the aspects of design, development, construction, property management, and sales or leasing in-house. With such an efficient and cost-effective system in place, Optima Homes can become more responsive to changes in the market and preferences of the clients. The company brings together a team of LEED and AIA certified home construction experts, luxury condos experts, architects, and designers to help buyers navigate through the complex home building and home buying process. Together, the financial and construction teams can deliver an unparalleled spectrum of communities and real estate services. Optima Homes approach to the building of urban and suburban luxury condo and home communities brings a unique blend of construction, architecture, and planning geared towards the future of homeowners. Although the homes, luxury condos or apartments built by Optima are customized to the specific location, you can expect shared aesthetics that have become standard to the company, including subtle details that manifest the quality of construction materials, vibrant geometric shapes, livable floor plans, floor to ceiling windows, and so much more. Optima Homes is also committed to being sustainable in all its real estate projects. By integrating innovative finishes, selections, and solutions into the core of planning, designing, and building of its communities, the luxury home builder can create homes and luxury condos that are aesthetical, environmentally, and structurally elite. You can count on Optima Homes to follow BIM and LEED guidelines to the T.
Innovative designs by Optima are simply unsurpassed. By partnering with top-notch institutions like Stanford’s CIFE program, the company has been able to optimize its building and designing process, from start to finish. It also dedicated to designing innovation with bimSCORE. Through continuous attention to the improvement and benchmarking, the duo – bimSCORE and Optima Homes – have forged a longstanding relationship that is bound to change the way the home builder constructs, develops, designs, and manages its home communities. Homeowners are at the core of what Optima Homes does. Throughout the building process, the company collaborates with customers. This way, they can create homes and luxury condos that truly reflect the tastes of homeowners. Right from the outset, quality, value, integrity, and sustainability are evident in each Optima home. That is why the company has had the privilege to be recognized locally and nationally. Optima Homes is a recipient of more than 50 high profile awards for excellence in building sustainable and quality communities. Ready to take a look? Text or call John at 1-480-442-3501 to arrange your personal tour.